Gum disease is a serious condition that can result in tooth loss and negative consequences for your overall health. We provide periodontics services to prevent and treat gum disease. Tartar buildup and rough patches on the roots of your teeth can result in dangerous bacterial infections. We prevent this from happening by cleaning and smoothing the roots with special tools. Sometimes a tooth needs to come out to prevent infection and protect other teeth. We aim to make the process as stress and pain free as possible. When a tooth is extracted, the area of the jaw around the tooth can be affected if the socket collapses. We protect the socket by filling it with material to strengthen it. 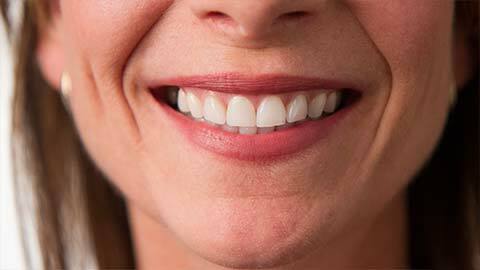 If you have been missing teeth for a while, the area of your jaw above the teeth can deteriorate. We can treat this by augmenting the area by grafting in bone and soft tissue. Sometimes when we want to place a dental implant in a patient’s upper jaw the bone in the area is too thin to support the implant. We treat this by augmenting the bone with grafted bone tissue. Bone grafts are used to augment or replace bone tissue that has been damaged by infection or injury, or to strengthen an area prior to the placement of an implant. Gum grafts are used to repair damaged or infected gums and to make cosmetic enhancements to your gum line. Donor gum tissue is usually taken from another area within your mouth. Small pockets can form in the soft tissue around the roots of your teeth and expose your teeth to infection. To keep this from happening we surgically reduce the depth of these pockets so bacteria can’t build up in them. When we treat infections or injury above the gum line it is sometimes necessary to make an incision in your gums to access the tissues beneath. We do this by opening a small “flap” of gum tissue, which we close with sutures when the treatment is finished. Crown lengthening is a procedure where we remove gum tissue from around the base of a tooth, exposing more of the crown. It’s used for cosmetic reasons and to prepare tooth for placement of a dental crown. Gum disease can be almost entirely prevented with good dental hygiene. Brush and floss regularly, and have your teeth professionally cleaned and examined at least once a year. If you suspect you might be suffering from gum disease, call our office today to book an appointment.